The last time I rented a Volvo from Europcar, my world changed forever. You see, I had a perfectly ignorant view of Volvo cars and the people who drove them. I was proudly confident, believing that the common Volvo rhetoric would be true. They’re probably slow, probably felt like sitting on a school bus, and probably weren’t any safer than their German comrades. People who bought them were clearly suckers of one of the biggest marketing heists in history. That was the perfect story. Except it was wrong. The Europcar Volvo XC60 was indeed the car that changed my mind about what a Volvo could be. Ever since driving this car, it’s been the litmus test for every other SUV including the Audi Q5, Audi Q7, Landrover Discovery Sport, and Mercedes-Benz GLE250D. None had come near to the quality of the Volvo XC60 in any way (except aesthetics…Volvo flaunts it’s ugliness like that confident kid you went to school with). This time I had the Volvo S60, Europcar’s other Volvo which is an alternative to their Mercedes-Benz C-Class. When I drove the C-Class earlier this year, and then again just before publishing this article, it quickly became my favourite rental option of all time. 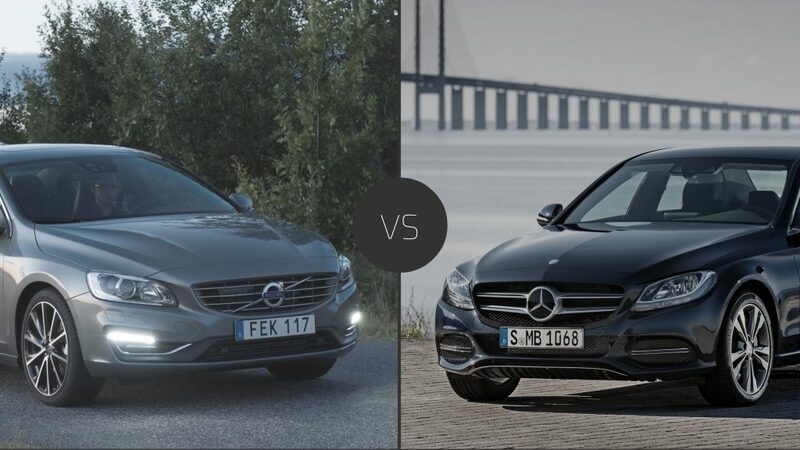 With my recent slap in the face from driving the Volvo XC60, the question was whether the Volvo S60 could possibly knock off the Mercedes-Benz C-Class from the top rung of my ladder. This particular rental was my first in experiencing the free weekend from the Europcar Privilege loyalty program. Each year you’ll receive a free weekend on your third rental. We’ll get deeper into the complete guide to the Europcar Privilege program in another article. If they stuff up your booking and give you the wrong car, you know exactly what cars you car request. You can request an upgrade to a specific car that you have seen with your own eyes. In this case, I was looking for a Mercedes-Benz E-Class or the Volvo S60 — both cars that I haven’t driven before and was eager to try. I requested an upgrade at the counter. The customer service representative was courteous noting that upgrades aren’t possible with the complimentary weekend. But I read the T’s and C’s beforehand and noted that upgrades are possible if you pay the difference. The offered rate was $45 per day and a three-day upgrade would set me back $157.41 including GST and other silly charges. Using my Etihad Gold status, I could have booked the same car for $177. I may have lost $45 on my $75 Hyundai credit, but I picked up a whole lot of class. Now for the head-to-head comparison between my favourite rental car and the Volvo S60. To be specific, the C-class you’ll find at your local Europcar dealer is a C200 and the S60 is the almost entry-level T5 Luxury Petrol. Both are roughly $60k if you were to drive them from the showroom floor. In Europcar’s XC60, they spec’ed the R-Design model with some extra goodies that I missed in this S60. The C200 pushes 135kW from the rear wheels, where the S60 pulls 180kW from the front. Despite the label of T5, this S60 only has four cylinders. Both cars run a standard milk carton engine into a turbo to deliver their performance through a 7-speed and 8-speed transmission for the C200 and S60 respectively. 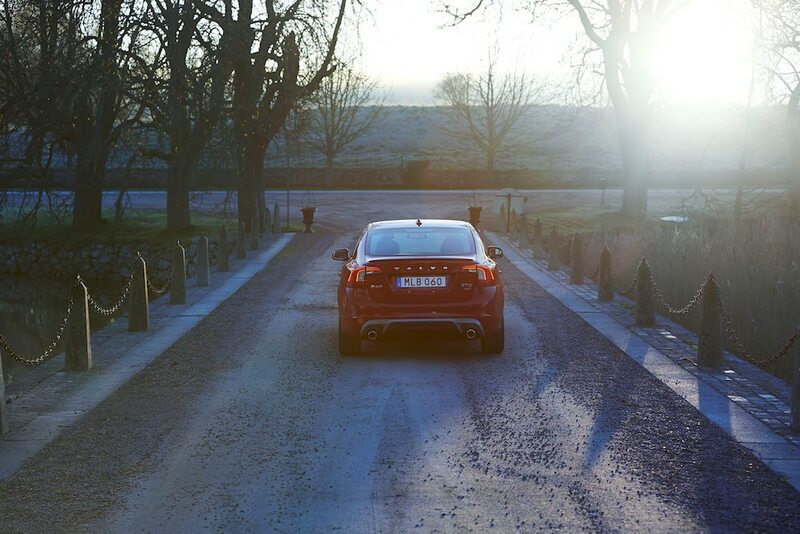 Whilst the S60 churns out 1/3 more power than the C200, it also carries 200kg additional weight. This was noticeable during somewhat spirited driving. Whilst both cars roll on 18″ rims, the S60 elected for 235mm of rubber all-round with the C200 dropping 10mm on the front and adding that to the rear. The S60 needs that extra rubber at peak boost. Unlike the C200, I only had a short time with the S60. A true head-to-head driving comparison through the mountains would be an interesting experiment. If one was to undertake such a challenge, my bets would be on the S60 for power delivery, and the C200 for consistency around twisty corners. With its AGILITY dynamic suspension, the C200 is a masterpiece of German engineering. From a smooth and silky ride, solo or loaded with passengers, through to the rigidity of Sport+ mode, it’s exceptional value for money. By contrast, whilst the S60 never felt loose, the extra weight was noticeable as the extra ponies pulled you around the corner. The performance in the Volvo XC60 was breathtaking for an SUV, the S60 felt capable but not exciting. Win for the C200 here. My second rental of the Mercedes C-Class was the deciding factor for this category. Firstly, the seats. Whilst the C200’s standard seats are more comfortable than most rental cars, the S60 takes this to a new level in this category. Neither will be uncomfortable but the Volvo S60 wins this round. I’m conflicted when it comes to internal comfort. I love the layout of the C-Class. From the internal LED mood lights, to the pictorial seat adjustment on the door, the C-Class just feels like you’re in a prestige car. For an entry-level model, Mercedes-Benz have done a fantastic job. On the other hand, the S60 felt incredibly refined but not luxurious. 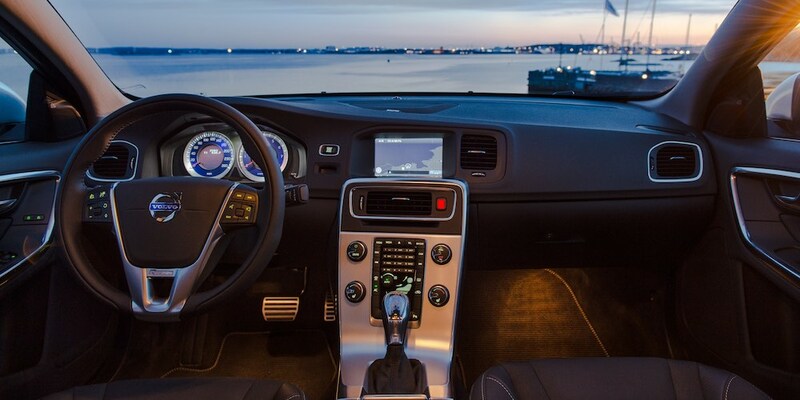 The infotainment system was intuitive and beats the complicated Mercedes system for ease-of-use. One of the features I loved was the contextual speed control in the dash. Put simply, it will illuminate the section of the speedometer that is relevant to your current speed, drawing your eyes to exactly what matters. When it comes to sound, both cars have fantastic setups, neither with a subwoofer. I slightly favour the Harman+Kardon system in the Volvo S60, but either make me happy. For comfort, I’m going to award the Volvo S60 as the winner. Any reader of RideHacks will know that seats and audio are my showstoppers. The S60 passed with flying colours. Europcar will hand you the keys to the S60 for $120 per day where the C-Class will set you back $145 per day. But it’s just not that simple. Europcar charges a premium for last minute bookings. If you want a car today or tomorrow you will pay 15-40% more than if you were to book it in advance. For example, if I was to pickup the S60 or C-Class from Sydney city next week (5 days from now), I would pay the prices noted above. If I wanted the same cars today, the S60 would be $170 per day and C-Class $171 per day. My guess would be that the Europcar booking engine maximises profit when supply is low. I know for a fact there are many more C-Class’ around than S60’s, therefore if you want an S60 you’ll pay a 42% premium for a last minute booking vs the C-Class 18% premium. When renting for a week (and booking 5 days in advance), the S60 comes out $54 cheaper at $469 for the week instead of $623 for the C-Class. I’ll update this article with an in-depth pricing analysis soon. It’s a significant feat for any car to knock my admiration for Mercedes-Benz. Whilst I would take the S60 over any other rental car that is currently available, I would still take the C-Class when faced between the two. The Volvo S60 experience was less about questioning my experiences with the Europcar Mercedes range and more about confirming that Volvo is an incredibly stealthy player in the prestige car market. If you get a chance to rent one, do yourself a favour. 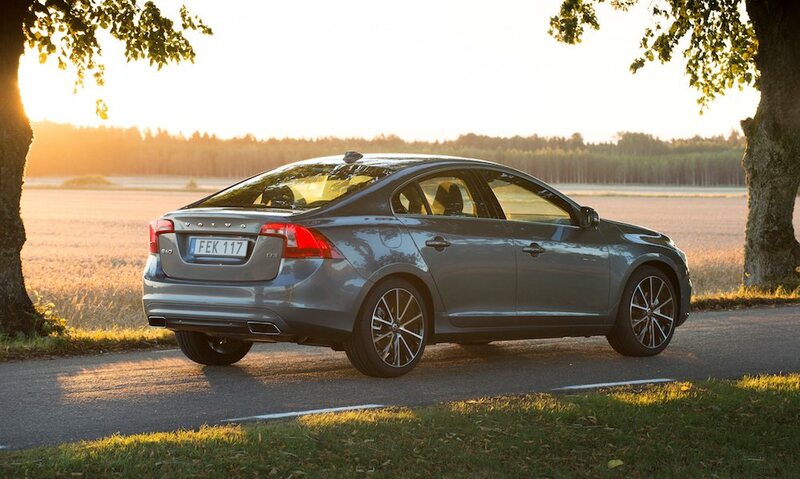 Fancy driving the Volvo S60?